Avery Janeczek Kalapa is a Certified Iyengar Yoga Teacher (CIYT). Avery has been practicing yoga since 1998 and teaching since 2004. 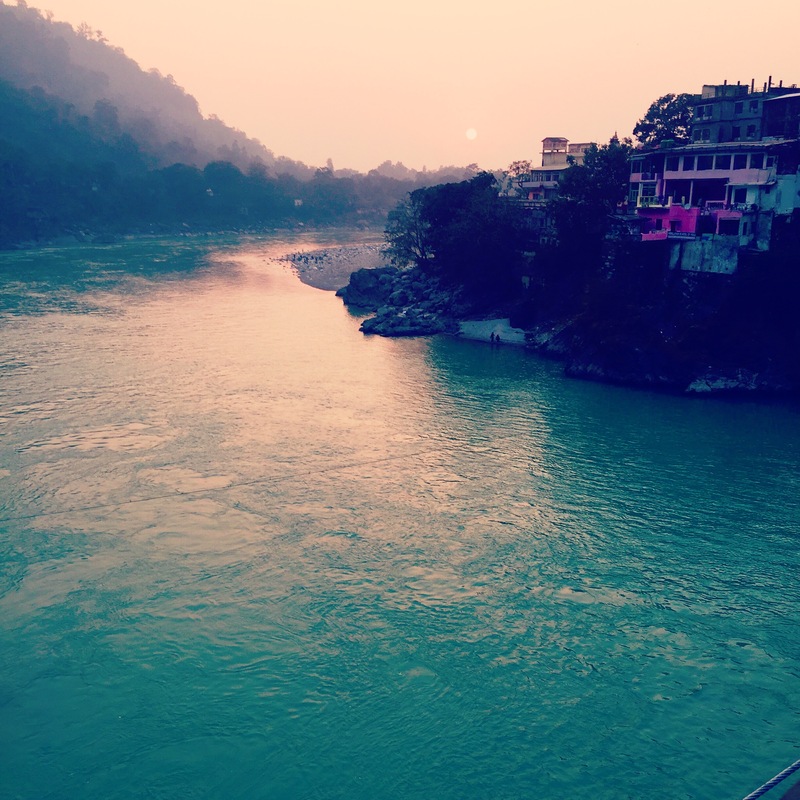 Avery has traveled around the US and to India to study yoga, both advanced practices and therapeutic applications. She is committed to -and incredibly grateful for- the Iyengar method. Her practice and devotion is inspired by the legacy and profound path laid out by BKS ​Iyengar and his family. Her technique also reflects her study of Patanjali’s Yoga Sutras, experiential anatomy, and practicing Vipassana meditation as taught by S.N. Goenka​. She has over 4200 contact hours with truly brilliant teachers including the Iyengar family: Prashantji, Geetaji, and Abhijata Iyengar; Patricia Walden, Leslie Bradley, Craig Kurtz, Rajiv and Swati Chanchani, , Ramanand Patel, Elise Miller, Francois Raoult, Carrie Owerko, as well as Donna Farhi, Judith Hanson Lasater, Leslie Howard, and Rama Jyoti Vernon. She has studied extensively with Kim Schwartz, Mahaswami in the Kriya Yoga lineage, and long time student of Ramanand Patel. 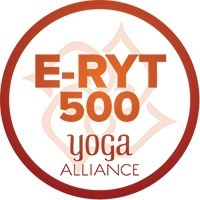 She is also registered with Yoga Alliance as ERYT500, and can provide Continuing Education credits through Yoga Alliance. ​Avery is a sincere and adept student. She loves attention to detail, ​precision in body and awareness, courageous surrender, and commitment to embodied spiritual awakening. She understands how self discipline, stability and joy are keys to purify the mind and access spiritual intelligence, and is both rigorous and playful in her teaching. She brings depth, clarity, energy, and a nurturing, enthusiastic reverence to her classes. Avery finds joy in exploring just the right approach to help her students gain access to direct experience of yoga, as both a healing art and transformational path. Avery is also passionate in exploring the intersections of yoga/ spiritual practice and social justice, and is interested in how we can collaboratively work to decolonize yoga culture, create access, and use yoga practice to emblazon the necessary work of dismantling hetero-patriarchal capitalist white supremacy. She understands the work of inner liberation to be inseparable and a key part of dismantling systems of oppression, and collective liberation. Avery was raised wild and magical, off the grid in rural West Virginia and later, New Mexico, and holds a BFA from Elam School of Fine Art in New Zealand. In addition to practicing and teaching yoga, she is raising two gorgeous children, gardens, makes art, and is a champion of self care/ caring for each other within beloved community. She currently offers private sessions, workshops, retreats, and a variety of group yoga classes at High Desert Yoga Wellspring Yoga, Bhava, and other locations in Albuquerque, New Mexico, and travels to teach yoga whenever the opportunity arises. Prior to Iyengar training, she earned several certifications in Alignment Based Hatha Yoga (think: Ramamand Patel’s brach on the yoga family tree) (See list below). Includes Retreats, Workshops, and Classes for beginner through advanced level classes, Restorative Yoga, Prenatal Yoga, Yoga for Scoliosis, Back Care Yoga, Yoga Therapeutics, Women’s yoga. Crossroads for Women: 8 week yoga program for CFW clients transitioning out of incarceration. Milagro: Prenatal Yoga for women in recovery from narcotics addiction. Arts in Medicine: Chair yoga in hospital waiting rooms as part of the AIM program. I am also interested in your teacher training. Can you send me more information on price for 500 hour training? Thank you. Sorry to reply so late. I check in with the comment feed on this site somewhat sporadically. Please contact High Desert Yoga directly to learn about the 500 hr Teacher Training. The 300 Hour starts this coming weekend…! Email yogainfo@highdesertyoga.com or call the studio at 505.232.9642. You can also get more info at highdeseetyoga.com. I highly recommend this training… it is by far the most comprehensive and in depth teacher training offered in the state. Maybe by now you’ve already signed up… if not, check it out. The 300 hour is for folks who have already completed a 200 hour training… so this coming 9 months is the advanced course, then another 200 hour will be offered in the fall. You may also be interested in my upcoming workshop on releasing the pelvic floor. It’s on Sat. Feb. 7, 2;30-5:30. It’s listed on the high desert website as well, “Yoga for Your Pelvic Floor Part 2A: Relaxing, Receiving. A special Practice for Hypertonicity.” It will be a lot of fun! If you have any questions, email me at averyasana@gmail.com.